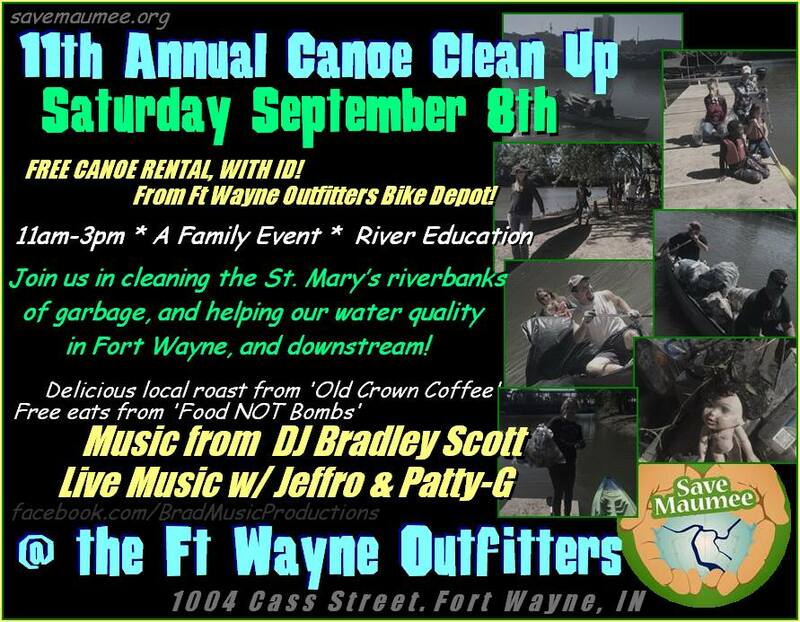 11th Annual Canoe Clean-Up, Can YOU Clean-Up? Save Ma_mee ~ The only thing missing is U! Some situations are simply unacceptable. That’s how Abigail Frost-King sees it. 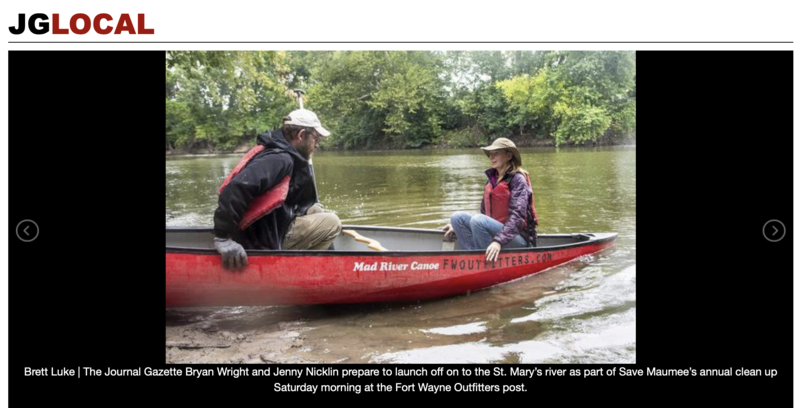 In 2000, she bought a house near Anthony Boulevard, a place with a backyard that bordered the Maumee River. The property map identified the area as Maumee riverbank, anyway, but Frost-King wasn’t so sure. “I thought I bought a house next to a dump site because there was so much trash,” she recalled. 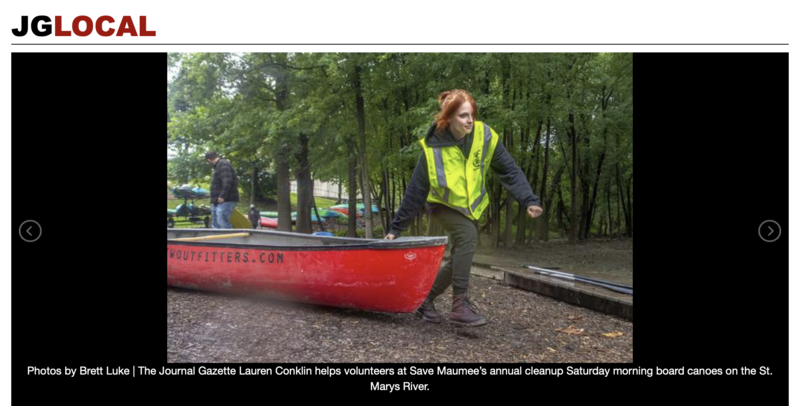 The president and founder of Save Maumee Grassroots Organization decided she couldn’t count on anyone else to tackle the trash. She had to get involved. And she knew she would get more support from elected officials if she formed a group. 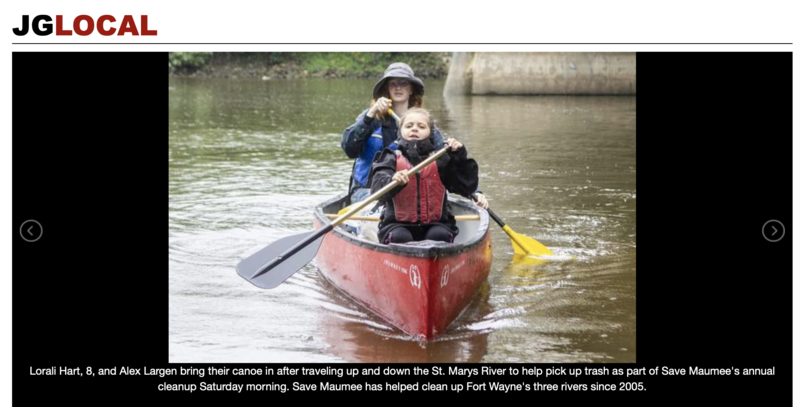 Frost-King and her fellow Save Maumee members spent a soggy Saturday removing debris from the St. Marys River and its riverbanks, the organization’s 11th annual cleanup effort. Since 2005, the group has removed more than 32,000 pounds of trash from the three local rivers. “This is kind of a fun event, because usually we plant trees and remove invasive species,” which is harder work, Frost-King said. About three dozen people participated by walking along the riverbank filling large plastic bags with trash and taking canoes out onto the water to remove items found floating there. Lorali Hart, a third-grader, was in the first canoe out Saturday morning. The local 8-year-old found milk jugs, water bottles and liquor bottles floating in the water. “It was a lot of plastic,” she said. Alissa Hart, Lorali’s mother, said the pair have found some surprising things during their volunteer river cleanup stints in recent years. Aaron Goulet has participated in the cleanup effort since 2011. The waters are considerably cleaner since then, when years of accumulated trash included discarded washers, driers and mattresses. “The first few years we’ve done this, we were taking dumpsters (full) of trash out of here,” he said. “And now we’re down to a trailer” with trash bags tossed into the back. Star Light, another volunteer, has an almost mystical relationship with nature. 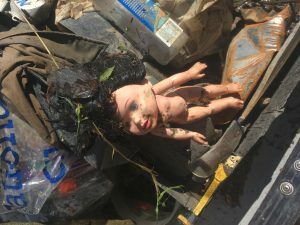 “The coolest thing, you find, is if you pick up enough trash, the spirit rewards you with something you’ve been wanting,” she said, describing finding discarded treasures. Frost-King signed in volunteers Saturday and offered them coffee, doughnuts, bananas, juice and, she noted with particular emphasis, reusable water bottles. Booms were set up in the St. Marys River to contain the turbine fuel, also known as jet fuel. Several roads were also closed, including Monmouth Road near the city’s wastewater treatment plant, officials said. “And they’re really making great progress, they’re getting a lot of fuel off the water,” Beier added. Decatur Mayor Kenneth L. Meyer said crews worked through the night to clean up the spill. He said there was an odor in the air, “but it’s not toxic.” The cleanup could take weeks, Meyer said. DJ Bradley Scott to entertain us with live and local talent! Donations are accepted not expected ~ $ helps to keep the fun flowing! Don’t just dream about clean rivers…Come out & help….if not you….WHO? FREE FUN FOR ALL! Well, the good news is we will be back again next year and the year after that – to plant native riparian seed, clean up the banks of the St. Marys River to raise awareness about the conditions of our beautiful waterways. Our projects heart & soul is in our citizen volunteers! The river thanks you from its bottom! Rivers NEED YOU! 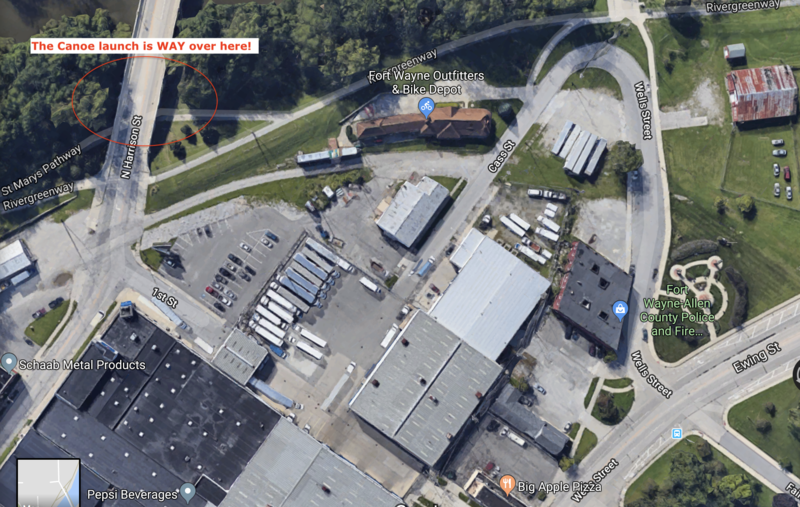 Riverfront Development construction is underway! So we will be meeting under the Harrison Street Bridge! FREE CANOE RENTAL WITH ID! From Fort Wayne Outfitters Bike Depot!